As a Partner in Saul Ewing Arnstein & Lehr's Real Estate Practice, William Gee has worked on a wide variety of commercial real estate development and finance matters, representing national and local developers and lenders. He has extensive experience as lead counsel on multi-state acquisitions, sales, and financing. He has handled many portfolio transactions of shopping centers and malls, as well as office and industrial properties. He represents the premier retirement/nursing community in Delaware, and has experience in representing assisted living and psychiatric facilities. In connection with his commercial and corporate law practice, William has acted as local Delaware counsel on numerous complex transactions for clients located throughout the United States and in foreign countries. 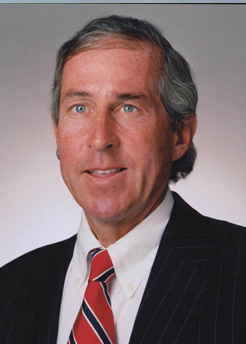 Among other items, he frequently has delivered opinions on Delaware single member limited liability companies. For more than 25 years, William has handled a wide range of complex commercial transactions, representing many of the largest real estate developers in the Delaware/Pennsylvania/New Jersey area. He also has extensive experience in transactions involving the acquisition and disposition of commercial real estate portfolios and the financing of properties in multiple jurisdictions. Additionally, Mr. Gee has handled all aspects of Delaware transactions for various lending institutions, including workouts and foreclosures. In relation to his representation of various clients, William has also worked extensively in matters of partnership and corporate law. He has extensive experience in Delaware Opinion practice, acting as local Delaware counsel for numerous commercial and real estate transactions. William has frequently lectured on real estate issues, as well as title insurance matters. Finally, William has acted as title agent in Delaware for a variety of title companies in a wide variety of real estate transactions.